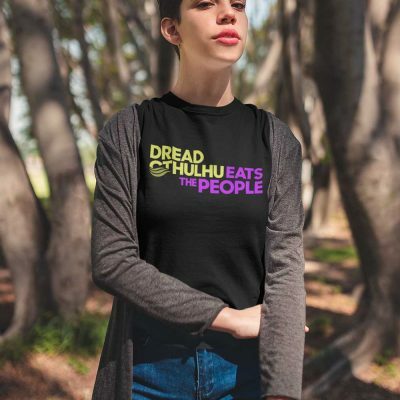 The White House Windbag doesn’t even come close to the evil majesty of Cthulhu. Mired in petty narcissism, Donald Trump is a lesser evil for lesser men. Don’t be fooled! 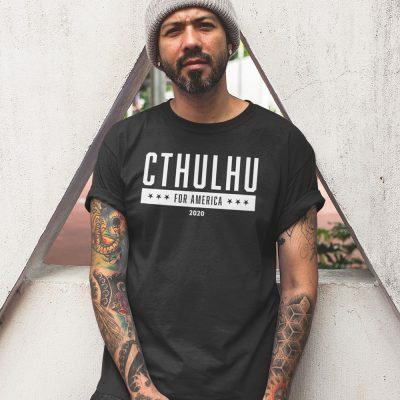 Vote for the Best Evil in 2020 — Cthulhu! This go-to t-shirt has a classic fit (not form-fitting) and it’s pre-shrunk, so it’ll maintain its shape after being washed. The fabric is thicker than most other shirts we offer, as it’s made of a heavier cotton.